Tree cutting services may seem like something that only professionals can do well, but in the interim between having your trees worked on by the professionals, they’ll still need standard maintenance. Thus, Halo Tree Service has designed a guide to help you through some of the pruning and maintenance considerations you should go over before taking a pair of clippers to your mature trees. 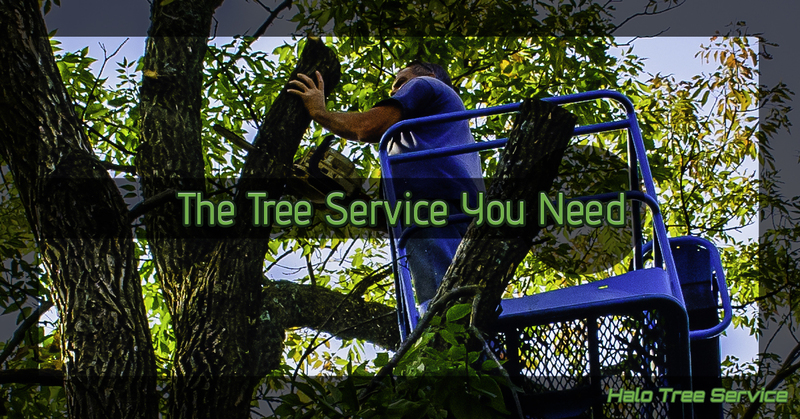 When you’re in need of professional tree trimming, contact us. We’re prepared to bring new life to your tree with our tree services and make way for new sprouts as well. You’ll know pruning as one of the most common tree services that are needed on a regular basis. Tree pruning is required to enhance the structure and the way the tree is growing, as well as bring back its vitality and overall aesthetic. When you’re setting out to do a touch of pruning here and there on your tree, you should start by gaining an understanding of tree biology before you start slashing and cutting. This is based on the idea that you’ll need a general understanding of how the tree will react to your cuts. If you improperly prune a tree, you’ll cause irrevocable damage that will most likely not heal up and be replaced. There are several different pruning techniques that you could apply to different trees. When you set out to prune a tree, first evaluate the tree’s species, age, health, and present structure. Then ponder the safety concerns and potentially hazardous conditions in regard to some of the limbs, as well as the location and your purpose for trying to prune this specific tree. The purpose could be any number of things, but some of the main reasons people look to prune a tree include: providing clearance for man-made obstructions, crown raising (or removing lower limbs), removing dead limbs, improving a vista, increasing fruit or flower output, or trimming away disease. Once you’ve narrowed down your purpose and the other details you’ll need to properly trim the tree, you’re ready to make a few cuts, depending on the season and type of tree. Depending on the type of tree and your pruning goals, you might change the time of year that you’ll want to do the pruning. While some trees require more regular pruning, others merely need to be trimmed during the dormant season. This is a technique often followed by professional tree cutting services because of several reasons, mainly to decrease the risk of pest infestation in the tree. Dormant tree service is mainly favored because trimming during this time rarely affects the overall health of the tree. If you’re not sure what’s best for your tree, contact Halo Tree Service. We’d be happy to talk about your trees and what sort of maintenance they’ll require to stay healthy. We care about the natural beauty of the Shelby Township, thus we’re proud to provide advice and services for everyone. Schedule your appointment today.